Since the invention of medicine, people have struggled to heal the body, but what of the heart and soul? Alive Inside attempts to look at this seemingly forgotten mission with a touching look into healing through music. The film follows Dan Cohen, a social worker. 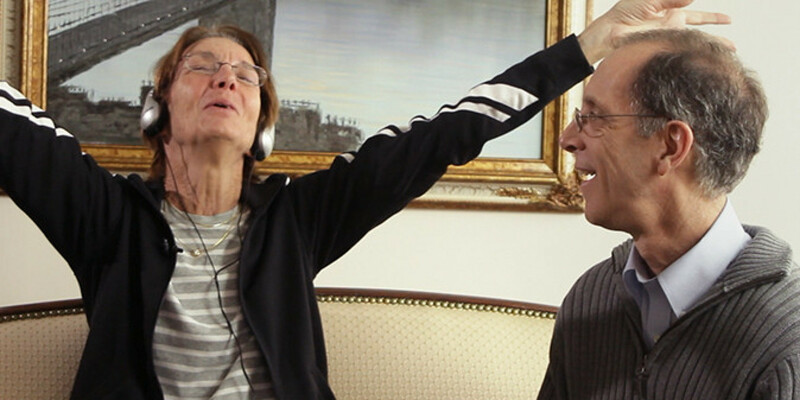 Cohen is the founder of Music & Memory, a non-profit organization that is at the heart of this documentary. Cohen’s goal – to battle the healthcare system in order to show people the power of music to combat Alzheimer’s, dementia, and other memory loss diseases. Writer/director Michael Rossato-Bennett visits patients, family members, and various experts in the field of neurology. Another notable appearance is made by singer/musician Bobby McFerrin, yes, that Bobby McFerrin. The editing keeps the pace of the film flowing through well-placed cuts of interviews and B-roll. The light touch of graphics sprinkled throughout the extra footage serves to enhance the images nicely rather than detract from the voiceover. Narration is done expertly and succinctly so as to give the impression that the filmmakers know exactly what they are talking about. You forget that you are watching a low-budget documentary, and instead get lost in an intriguing story that could easily belong on the Discovery Channel or A&E. The story itself is intriguing and moving. The subjects picked were filmed with care and respect, giving the film a touching intimate quality as opposed to the neutral stand-offish tone of so many other documentaries. The film goes from patient to patient, giving enough back story to pique interest, but not too much to bog down the pace. The reactions of the patients as they hear the music of their past once again is moving to the point of tearful. 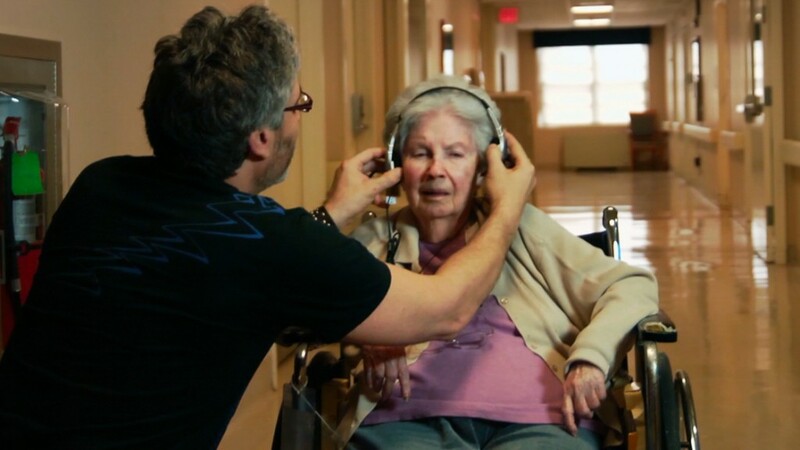 The film weaves seamlessly from these heart-felt tales of the tragic effects of Alzheimer’s to an easy to follow scientific lesson on the importance of bringing music to this growing number of patients. Facts are given timely and in such a way as to be easily understood by the everyday person. The scene about the effects of music on womb development is as captivating as the touching tales of the patients seen earlier. The film ends, like most documentaries, with a call to action, but does not feel heavy-handed or forced like those animal shelter commercials no one can stomach. When the film shifts to the more cynical attack of the current healthcare system, it does not feel out of place or preachy. Instead, audiences will likely find themselves wondering alongside Cohen and Rossato-Bennett, why don’t these patients get access to the music that awakens their spirit? Where this film falters is in the camera work of Shachar Langlev. For some reason, the filmmakers decided that they needed to show off their skill with a camera by inserting several unique shots throughout the film. Ordinarily, these shots (like a spinning bird’s-eye POV and shaky moving cam) would be great to see sprinkled in an action film. However, in a documentary, they seem woefully out of place to the point of distraction. The odd choice to include an interview with Cohen while driving in his car does nothing to enhance the story being told, and instead gives the film a stark amateurish feel when contrasted with the other well-framed and well-lit interviews. One can’t help but feel like this film was created by two separate cameramen and edited together. Film Review: ‘Code Black’ is a home-run for first-time filmmaker Ryan McGarry! This entry was posted on Friday, January 2nd, 2015 at 4:15 pm	and is filed under Film, News. You can follow any responses to this entry through the RSS 2.0 feed. You can skip to the end and leave a response. Pinging is currently not allowed. « WWE: Raw – December 29th, 2014! !